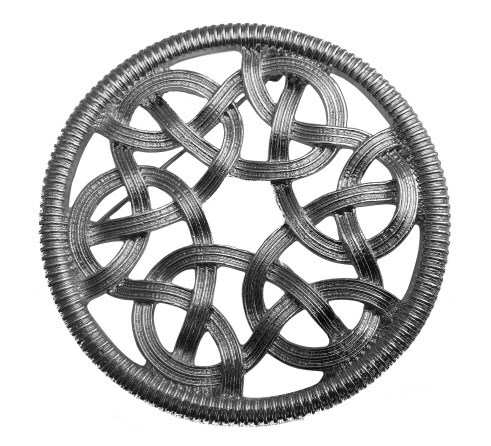 Iron-Age Celtic knotwork brooch, a perfect accompaniment to fly plaids or ladies shawls of any tartan. + Made in zinc alloy and finished in a high gloss rhodium coating. + Diameter 7cm (2.75 In).